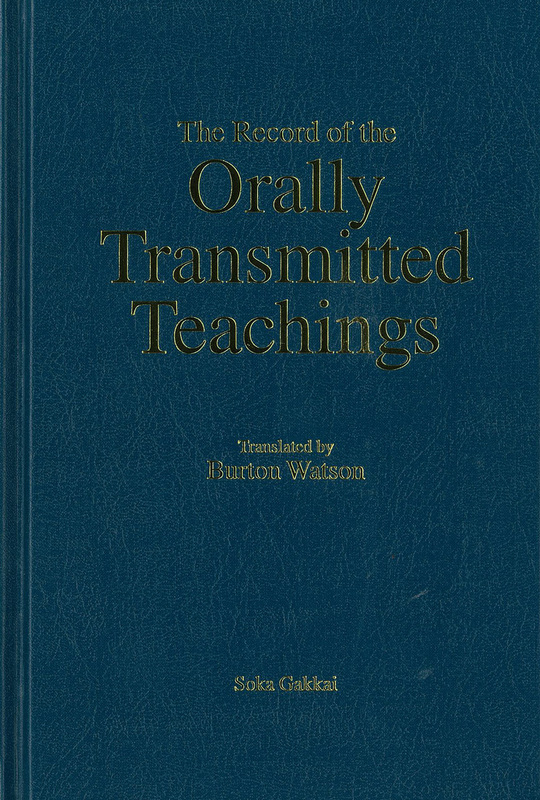 The Record of the Orally Transmitted Teachings is Nichiren Daishonin’s oral teachings on the Lotus Sutra, recorded and compiled by his disciple and successor Nikko. At Minobu in Kai Province, Japan, Nichiren gave a series of lectures for his disciples on important sentences and phrases from the Lotus Sutra. This work, dated the first month of 1278, consists of two parts and reveals the essential principles of Nichiren’s teachings. SKU: 9784412012868 Categories: Books, Lectures & Study Resources, On Sale!